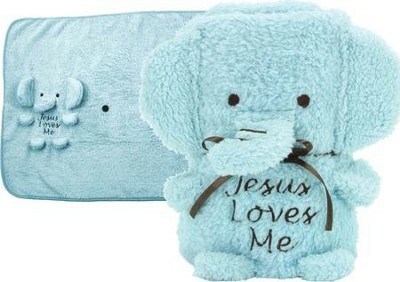 Elephant blankie in cuddle soft 100% polyester, embroidered Jesus Loves Me and tied with brown ribbon; opens to 35" x 24"; folds to a lovable bundle. 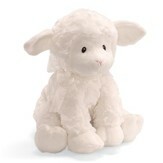 Baby shower gift idea, new baby, christening, or baptism gift. 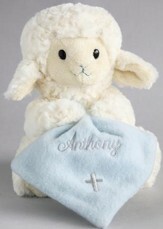 Blue elephant plush blankie for baby boy. I'm the author/artist and I want to review Baby Boy Elephant Blanket, Blue.